VPN on Kodi: Should you use it? What does it do? Home Home Media VPN on Kodi: Should you use it? What does it do? Welcome to the start of our series of articles on using VPN on Kodi. In this guide, I will try to give you a general idea about what should you expect from these applications, and when it's necessary to use one. In further guides, we will explore what options you have in order to implement VPN features on your Kodi HTPC, as well as if it can be implemented via addons. If you use Plex, we recently wrote about how a VPN can make Plex better. How do I know if I need a VPN on Kodi? How does Kodi VPN work? What if you choose to not have a Kodi VPN? You should know that VPN is an acronym for Virtual Private Network. 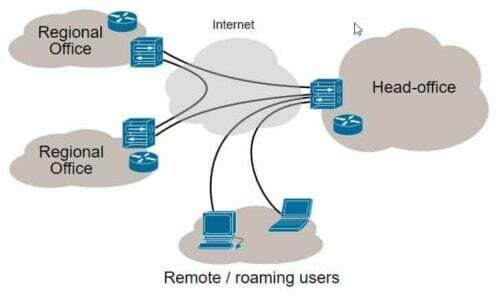 What this does is basically extend the reach of a private network (such as one that could be configured in a house or office) across the internet, so it is accessible over the internet. Companies use it, for example, to enable their employees to work from home or from abroad on their internal servers. Of course, they can also be used to give a computer internet access through a different network than the one provided by the original ISP (Internet Service Provider), and this is the use they have for us as consumers. This diagram roughly describes what happens on a VPN connection. Note the remote user connects to “Head office” (in our case this would be the VPN service) and “Head Office” connects to “Regional Office” through the Internet (in our case, these would be content sources). Using a VPN one can access content in locations where the content is not available. For example, Netflix or Amazon Prime videos in countries where they are not available. But what is the benefit of using VPN for a Kodi device, you might ask. The primary benefit is accessing content not available in specific countries or regions (circumventing geo-block). Using a VPN on Kodi is great to access geoblocked content, such as the one you can find through addons like Kodi USTVNow addon, and other streaming addons. This is a problem, specially with Kodi sports addons. Using a VPN you can avoid errors like this one, when using geoblocked addons. Another big advantage is protecting your identity if you are into streaming movies and TV shows using one of the many Kodi addons available for this purpose. Many of these addons stream content from legally questionable sources. Therefore, a Kodi VPN setup ensures some level of identity protection. Note that your first level of protection is not using Kodi for pirating copyrighted content. As said before, VPN on Kodi serves mainly two purposes: helps you access geoblocked content and protects your online identity, in case you are concerned about it. Traditionally, it has been suggested to use VPN mainly with services such as torrents or Usenet, because these services involve being connected with many computers, and thus might pose a security risk. With growing streaming addons with content from legally question sources, VPN usage on Kodi growing exponentially. So if you stream live content, movies, TV shows, and other videos on your Kodi box, the chances are you could benefit from a reliable VPN service. A whole system VPN will make all internet traffic from a device to go through VPN server. Although, it is possible to use VPN only for Kodi traffic (VPN split-tunneling) a whole system VPN is much easier to setup and common at this point. There are Kodi movies addons, Kodi live TV addons and other plugins that enable you to enhance your Kodi features. At this point however, there are only very few addons that install Kodi VPN feature. You can use a VPN to enable access to geoblocked content within Kodi. On embedded Kodi operating systems such as OpenELEC, LibreELEC, and OSMC, it may be a bit more difficult to setup a VPN. In such cases, a VPN addon for Kodi can be very helpful. On other systems (Windows, Mac, Linux, Android, and iOS), operating system-specific VPN apps are available that can easily route your traffic through VPN servers. The only problem is, that most of these services are paid, and the free ones come out as untrustworthy or, at least, concerning, regarding their level of safety. This makes it important to search for the best VPN for Kodi, to keep your information and system safe. In the following guides about this subject we will explore some of the best Kodi VPN addons that enable you to install Kodi VPN, how to configure them, and use them. If you do not want to bother setting up a VPN, you could just install several Kodi addons and, if one is geoblocked, try another one. There may be content you could miss if you take this approach. 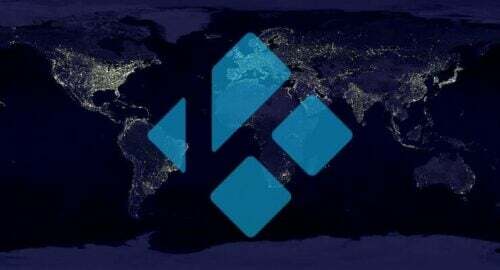 If you want lots of content without worrying about geoblocks, you could use the Kodi Exodus addon or the Kodi Velocity addon. These plugins enable you to watch your favorite movies and TV shows directly from the internet. However, note that these addons may use legally questionable streaming modes and therefore protecting your identity with VPN on Kodi is suggested.